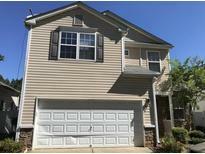 Find Acworth, GA Condos for sale. View Photos, Maps and MLS Data Now! Finished Basement, With Kitchen, Living Room, Bedroom, Full Bathroom, Full Kitchen, And Lots Of Storage. Must See. Wont Last Long MLS#6539956. Georgia Dream Homes Realty, Llc..
One Of The Rare Opportunity To Own A 3-Bedroom House In Windcroft Sub. MLS#6539957. Vistaray Usa, Inc..
Gorgeous Private Deck W/ Landscaped Fenced Yard. Unfinished Basement And Oversized Garage MLS#6539243. Priority Realty Group, Llc..
Starr Lake - Basement Is Partially Fnshed W/ Hvac & Electrical. Award Winning Schools! MLS#6538538. Keller Williams Rlty, First Atlanta. Large Fenced Backyard With Deck. Sought After Public/Private Schools! MLS#6539242. Atlanta Communities. Arthur Hills - Large Deck W/Tiered Stairs, Covered Relaxing Stamped Concrete Patio, Under-Deck Roof System W/ Ceiling Fan, Can Lights & Professionally Landscaped Yard, W/Special Puppy/Child Guard Fencing. MLS#6539394. Duffy Realty Of Atlanta. Lochshire - Laundry Room Upstairs, Full/Daylight Terrace Waiting To Be Finished & Private Backyard Retreat! ! MLS#6539267. Atlanta Communities. Westbrook - Theatre/Media Room. Great Community And Great Schools. MLS#6538985. Solid Source Realty, Inc.. 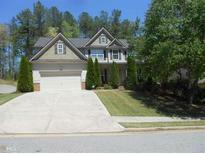 This Is The Most For The Money In This Sought After Area Of West Cobb. MLS#6539181. Re/Max Greater Atlanta-Cobb. Sunbrook Estates - Don'T Miss Out. It'Ll Go Fast! MLS#6539532. Atlanta Communities. New Roof, New Interior Paint, Plantation Shutters, New Interior & Exterior Light Fixtures & Updated/Renovated Bathrooms. Move-In Ready, Impeccably Maintained! MLS#6539245. Re/Max Unlimited. Summerfield - This Property Will Not Last Long! ! MLS#6539563. Atlanta Communities. Northgate At Legacy Park - Access To All Legacy Park Amenities. Must See MLS#6539221. Bhgre Metro Brokers. North Shores - All Appliances, Including The Washer/Dryer Remain With The Home. No Hoa! MLS#6538850. Atlanta Communities. Davenport Trace - This Home Boast A Wide Open Kithen, Large Front And Back Yard, Spacious Living Room, And A Closed In Back Porch. MLS#6539725. Vylla Home. Brookstone Manor - Finished Basement; Perfect In-Law Suite/Teenager Haven. Welcome Home! MLS#6539009. Red Barn Real Estate,Llc..
Close To Shopping, Restaurants, Post Office, Banking, Library, Ymca And Ace Hardware. Come And See. MLS#6538551. Atlanta Communities. The Real Gem Is The Community! MLS#6538443. Duffy Realty Of Atlanta. Finished Basement With Rec/Game Room, Bedroom, Full And 1/2 Bath And A Storage Room With Built In Bookcases (Perfect Space For Games/Crafts/Toys). Excellent School District MLS#6538467. Atlanta Communities. Bentwater - Beautiful Large Home In Golf Community, Cul-De-Sac Private Lot,master On Main W/ Another Bedroom And Full Bath, Laminate Hardwoods In Foyer,Dining,Family Room,Master Bedroom W/ Trey Ceiling,Kitchen Has Desk & View To Family Room,Two Story Family Room,New Gas Hot Water Heater,Level Lot,Stand Alone Freezer Stays For Buyer,Jack N Jill Bathroom Upstairs, Oversized Bedrooms Upstairs,Near Shopping,Schools And Trails. MLS#6538237. Realty One Group Edge. Enjoy Natures Flora & Fauna As You Sit By The Outdoor Fire Pit. Truly A Serene Paradise. MLS#6538876. Berkshire Hathaway Homeservices Georgia Properties. Cobb County Schools-Level Creek Elementary; Durham Middle; Allatoona High. MLS#6538704. Keller Williams Realty Atlanta Partners. Swim/Tennis Hoa Handles Front Yard Maintenance For Truly Worry Free Living! MLS#6538953. Chapman Hall Realtors. Cheatham Lake - Small Dog Will Be In A Crate. MLS#6539124. Maximum One Realty Greater Atl..
Creekwood Place - Run To Catch This Newness For You Before Someone Else Snaps It Up! MLS#6539084. Keller Williams Realty Partners.